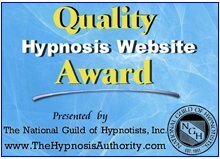 Roberta is a member of the American Council of Hypnotist Examiners. Roberta Swartz received certification as a Clinical Hypnotherapist through the American Council of Hypnotist Examiners in 1984. Since then, she has been helping people create physical and emotional health through self-hypnosis classes, seminars and private hypnotherapy sessions. * Physical wellness- Elimination of allergies, asthma, chronic fatigue, digestive problems, fibromyalgia, insomnia, irritable bowels, migraines, pain and stress. Successful surgery preparation and recovery, dental work and ease of childbirth have also been experienced. * Emotional wellness- Permanent resolution of anxieties, fears, phobias, erratic mood swings, poor self image, depression and bi-polar activity. * Behavior modification - Freedom from addictions, obsessive compulsive behaviors, unhealthy relationships, fear of public speaking and performance anxiety. * Pediatric Hypnotherapy - Children experience resolution of: anger, fear and anxiety, difficult social behaviors, reactive attachment disorders, bed wetting, night terrors, nail biting, stomach aches and unhealthy sleep patterns. * Create deep physical and mental relaxation while remaining completely aware and able to discern. * Transform old outdated beliefs and ideas into new, more appropriate ones that make sense to you. * reduce stress* experience restful sleep* influence the physical body to create greater health, even if you have a current health problem* work with your body's natural anesthesia to ease pain * develop emotional balance and freedom from depression,fears, phobias and anxiety * free yourself from unwanted behaviors* feel self confident, self acceptance and self trust* create happier, healthier relationships THERE WILL BE OVER 30 ACTIVITIES TO HELP YOU REACH YOUR GOALS! Roberta founded and is president of the Hypnotism Center of Western Montana, Inc., a hypnosis training school that provides a 350 hour program for professional hypnotism training. Classes incorporate lectures, demonstrations, books, videos, hands-on training and internship. The program is designed to provide excellence of training with the goal of strengthening the role of Clinical Hypnotherapy as a beneficial approach to health. Roberta has created four self hypnosis CDs: Relax Your Stress Away, Restful Sleep, Stop Smoking and Free Yourself of Excess Weight. Thousands of Roberta's students and clients have benefited from the information and evidenced based approaches found in her upcoming book. Roberta looks forward to hearing from you and welcomes your questions or comments.